“I strive to provide trusted, comprehensive, caring dentistry to all my patients and their families. It is my privilege to practice dentistry with such an amazing group of dental professionals. I am honored to work with our wonderful patients and to assist them in achieving a better quality of life. Dr. Tuckman is a graduate of Union College in Schenectady, New York, where he earned a Bachelor of Science in biology. He attended the University of Pennsylvania School of Dental Medicine, and graduated in 1986 with a Doctorate in Medical Dentistry. 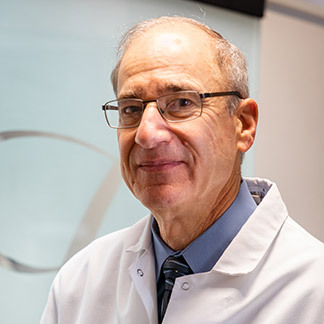 Dr. Tuckman completed a one-year general practice residency at Mount Sinai Hospital in New York City and an additional year of private practice in Boston before his association with Dr. Kayne here in Clifton. Dr. Tuckman spends numerous hours on coursework in cosmetic, implant, and other phases of general dentistry. His commitment to continuing education earned him a fellowship in the Academy of General Dentistry. He has attended Aesthetic Advantage in New York City, the Dawson Academy, and Invisalign® workshops, and is a member of an implant study club. Whatever your dental problem, Clifton Dental Associates can be your solution for a lifetime! Call our Clifton, NJ dental office today! Dr. Tuckman is a member of the American Dental Association, the Academy of General Dentistry, the Academy of Implant Dentistry, the Academy of Cosmetic Dentistry, the New Jersey Dental Association, and the Passaic County Dental Society. He has earned a prestigious fellowship in the Academy of General Dentistry. He was recognized in New Jersey Monthly as a Top Dentist in 2004-2005, selected as one of America’s Best Dentists of 2004-2005, and voted by Consumers’ Research Council of America as one of America’s Top Dentists from 2004 to 2015. Originally from Long Island, Dr. Tuckman currently resides in Morris County with his wife. They have three children. Dr. Tuckman enjoys playing tennis and basketball, cycling, hiking, and traveling on family vacations.